It is dangerous to go alone, take this! Our Darkness Sealer Sword with Scabbard features a full tang 1045 high carbon steel blade and is a unique hand crafted weapon with a variety of features. This replica sword is a must have for fantasy heroes due to the extreme attention to detail. The blade features rune inscriptions along the fuller and a unique triangle symbol on the ricasso. The guard resembles a pair of extended golden bird wings and frames the blue grip with a golden notched pommel. 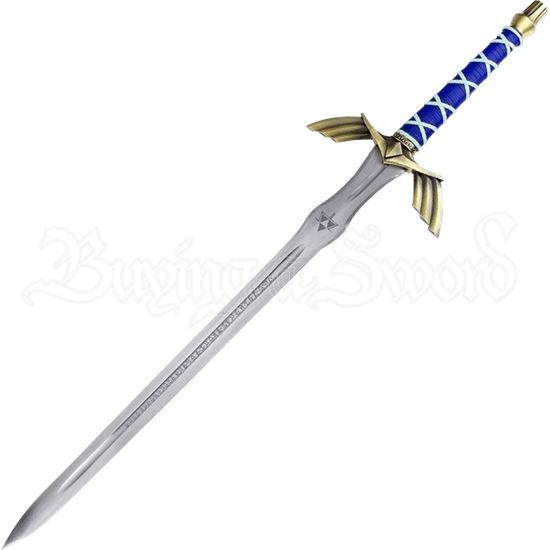 Included with this sword is an accompanying blue and gold scabbard making this the perfect blade for fantasy heroes.